For months now, our opposition in the Senate has been scrambling to gather enough votes to roll back common-sense standards limiting the dangerous climate pollution emitted by the oil & gas industry on our federal and tribal lands. They just lost the vote—and their chance to strip these crucial clean air and climate protections has slipped away. But your Senator stood with them, choosing to put the interests of polluters above the health and safety of Americans. We need to hold every Senator who stood on the wrong side of this vote accountable. Your Senator did the wrong thing. Take action today, and make sure your Senator hears that straight from you! 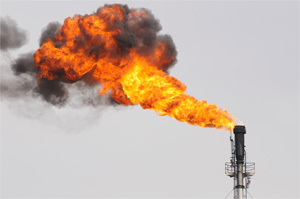 Like the majority of Americans across both parties, I strongly support BLM's Natural Gas Waste Rule to protect clean air, public health, and the wallets of American taxpayers. In the wake of the Senate's vote on the Congressional Review Act targeting this rule, I am extremely discouraged by your decision to support the Congressional Review Act attacking these crucial protections. With this vote, you have put industry's interests over those of American taxpayers. And you have disappointed the families and communities that sent you to Washington. In future votes on clean air and public health protections, please choose instead to protect our health and safety, rather than putting it at risk.